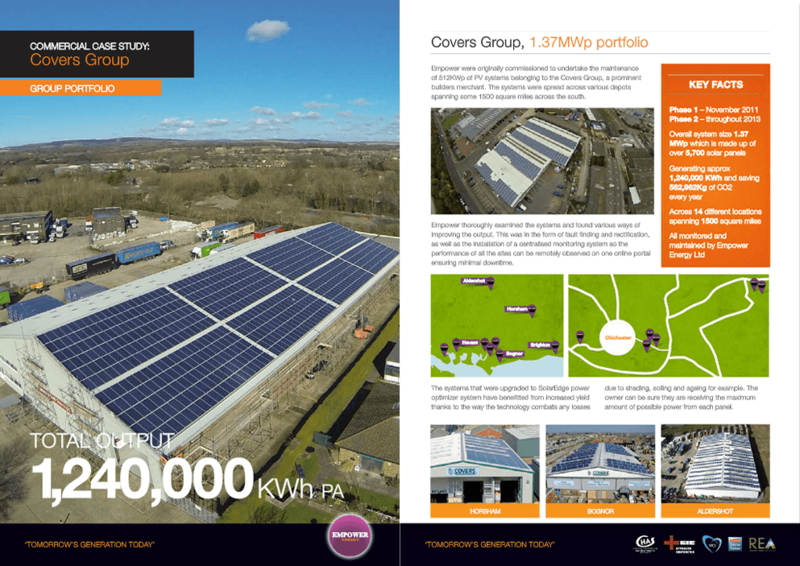 Dorset council are offering grants up to 40% off solar pv for business's in Dorset. The grant could be used to help install a renewable solar pv system. If your business is interested in solar pv, please fill in our contact form with your contact details and our sales team will contact you shortly to discuss your requirements. 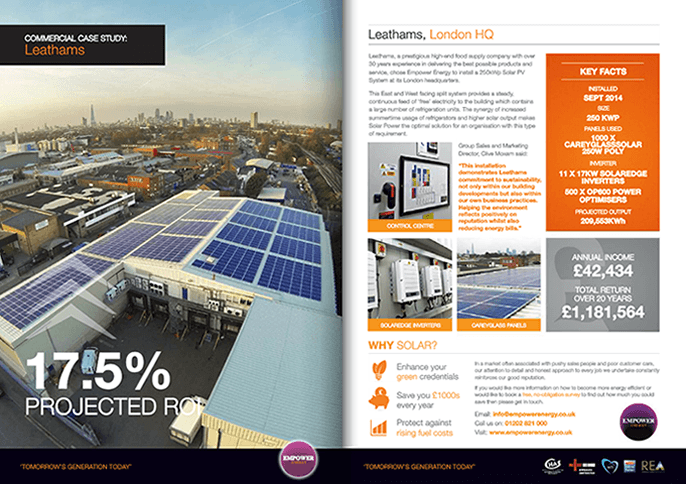 In September 2014 Leathams a prestigious food supply company chose Empower to install a 250kWp Solar PV System at its London headquarters. The positioning of the panels provided a continuous feed of free electricity to the building and refrigerators. 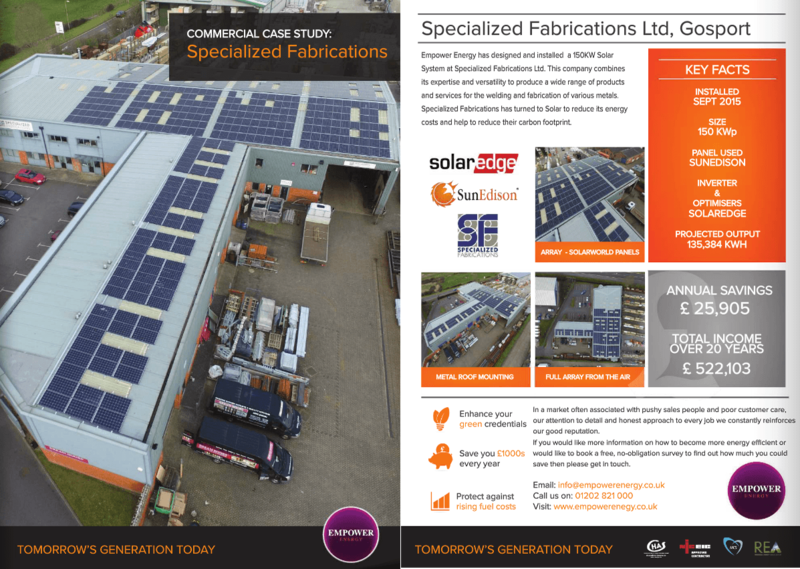 Empower has designed and installed a 150KW Solar System at Specialized Fabrications Ltd, Their main aim was to reduce its energy costs and help to reduce their carbon footprint. 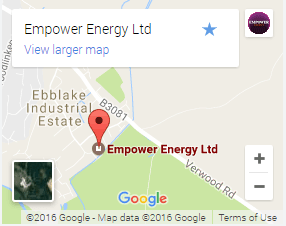 Empower was originally commissioned to undertake the maintenance of 512KWp of PV systems. Empower examined the systems and found various ways of improving the output. This was in the form of fault finding as well as a centralised monitoring system. Sites 14 different locations, spanning 1500 square miles.